Ryan Giggs is the most decorated player in the English football history. 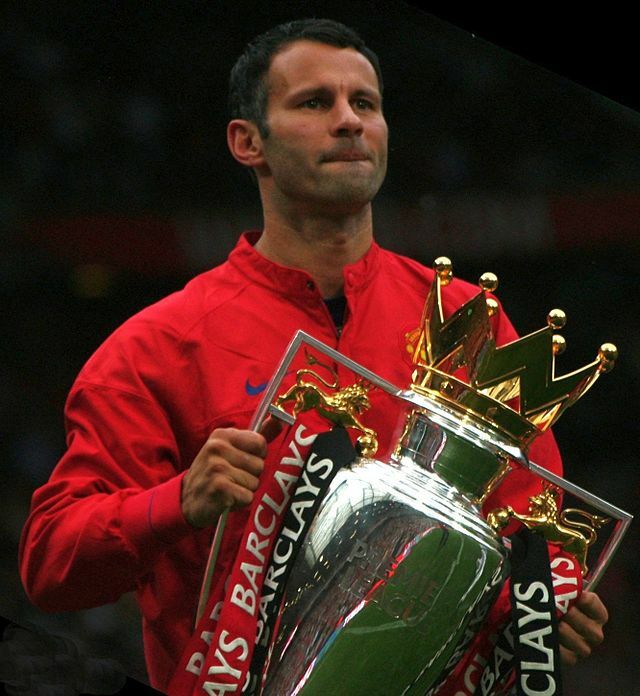 With 35 titles, Giggs is one of the best midfielders of all time and was voted “Best Manchester United player of all time” by the Manchester United supporters in 2011. Playing for Manchester United for 23 years, he won 13 Premier League titles, a record (6 times runner-up), four FA Cups, four League Cups, 9 Community Shields and two Champions Leagues. With Manchester United, Giggs broke numerous records including the player with the most UEFA Champions League appearances and the first player to have scored in 21 successive Premier League campaigns. Ryan Giggs played 64 games for Wales and more than 970 matches for Manchester United.